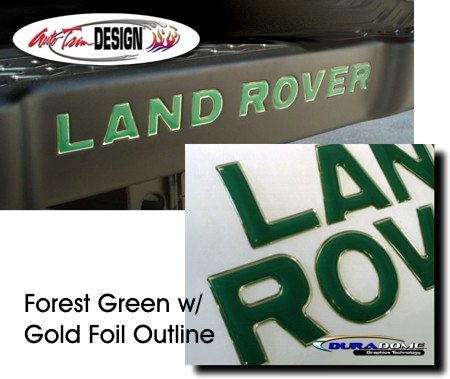 Detail your '99-'04 Land Rover Discovery with this Special Edition decal set. These Green and Gold Foil "Polyurethane Domed" decals fit perfectly in the depressed area of your rear bumper. "Domed" decals are not just vinyl decals. They are a tactile, three (3) dimensional decal that looks like a factory manufactured emblem. They look great and closely match the Land Rover factory logo colors!